Thank you again Lewistown Art Center for Hosting 2016 MTWS Members Show! What is the Members Show? The Members' Show is provided for all MTWS members to send in one or two paintings, and will be held in Lewistown, Montana, for the month of May 2016. 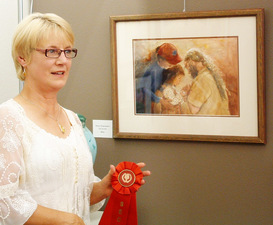 The show is judged by the Members' Workshop artist who assigns 1st, 2nd, and 3rd places along with two honorable mentions. Because this show is not a juried show, it provides MTWS members an excellent opportunity to experience the process of entering a show without the restrictions of being juried in. The 2016 Members' Show will take place in May and the workshop weekend will be May 7 & 8, 2016. MTWS is proud to offer Robert Kercher as your Workshop Instructor at the upcoming MTWS Members Show in Lewistown, Montana, for the weekend May 7 and 8, 2016. He graduated from Jamestown College (North Dakota) with a degree in Art and History, certified in education. He moved to Great Falls and started teaching in 1965. For the next fourteen years he pursued his teaching career and was also head of the art department four years. In 1973 he received his Masters of Art Degree from Montana State University (Bozeman) in printmaking and painting. In 1979 he went full time as an artist. 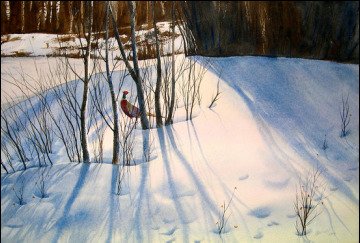 Kercher specializes in wildlife, particularly birds, as subject matter. “Permutation” are unique to Bob’s works such as pinecones transforming into chipmunks in a rhythmic progression across the composition. 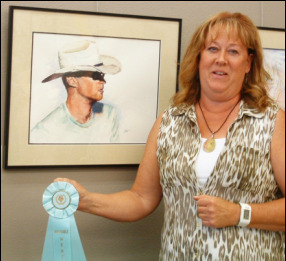 Kercher received many awards including Featured Artist at the Pacific Rim Wildlife Art Show in 1998, Seattle, Washington. In 2002, he received the Featured Artist at the Portland Audubon Society’s 100th Anniversary Show. His work has been featured in Southwest Art, Wildlife Art, and Montana Outdoors. Over the years he has done several cover designs for Montana Outdoors. He has had work juried into the C.M. Russell Art Auction since 1976. President Ronald Reagan received one of his paintings in 1989 and decorative Easter Eggs were also created by Kercher for the White House. His art work can be seen at the Meadowlark Gallery’s website: www.meadowlarkgallery.com/KercherRobert.htm. 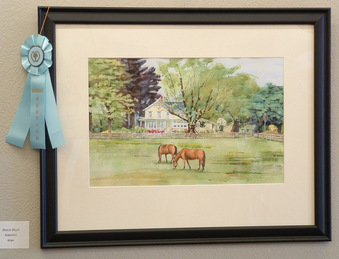 The Lewistown Art Center will be hosting our 31st Annual Members Show from May 3 - 28, 2016.To enter one or two paintings, please download Members Entry Instructions and Members Entry Form available in 2016. The price to enter the Members Show is $15 for one entry and $25 for two entries. The MTWS Members workshop will be downstairs at the Lewistown Art Center on May 7 and 8, 2016.The price for the workshop is $80. To register for the workshop, forms will be available in 2016. A block of rooms will be reserved and announced in 2016. After the opening Saturday reception, May 7, 2016, at the LAC from 5:00pm to 7:00pm, the evening banquet will be at the Mainstreet Bistro (click here for menu selection). See forms below. To participate in any of these activities, you must be an MTWS member. Scholarship - What an Opportunity! The scholarship is offered to a bright and shining beginning artist between the ages of 18-35 to support their expansion of learning. The scholarship provides the winner with a $300 stipend, free attendance to the Members' two-day workshop in Lewistown, as well as free membership to MTWS for one year. The stipend is awarded to them at the Members' Show Banquet, Saturday night in Lewistown (must be present to receive award.) This $300 stipend pays for their expenses for the banquet, hotel, travel, etc., to Lewistown for the Members' workshop. Any remaining funds are for their use as they see fit, usually art supplies for the workshop. 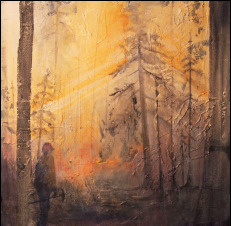 This scholarship follows our mission which is to promote and provide art education in Montana.